The Saint-Petersburg State Theatre library represents an exhibition devoted to the jubilee of well-known theatre artist and writer Edward Kochergin. For thirty-five years he has been working as a leading artist at St. Petersburg Bol’shoy drama theatre staging all Georgy Tovstonogov renowned performances. He also collaborated with world-known theatre director Lev Dodin and worked for the cinema. The main peculiarity of Kochergin’s artistic thinking, which gives priority to metaphoric scenery, is directed to make more open dominating idea of the performance. His style is distinguished by association width, large scale of vision and choice of expressive means boarding with asceticism. Kochergin is a laureate of numerous theatre and government rewards for the contribution to the civil art of theatre. At the same time Kochergin is known not only as artist but also as a writer. His first book Angel’s puppet became a sensation in the literal life in 2003 and the author became spoken of as one of the best modern masters of prose. For this book Kochergin received Tsarskosel’skaya artistic prize. In 2010 he won the prestigious literary reward «National bestseller» for the book Baptized by crosses. In 2011 the author got Sergey Dovlatov Literary prize «For the achievements in modern prose» and in 2014 he becomes a possessor of a new literary prize «Theatre roman» for the item Notes of stage floor rat. 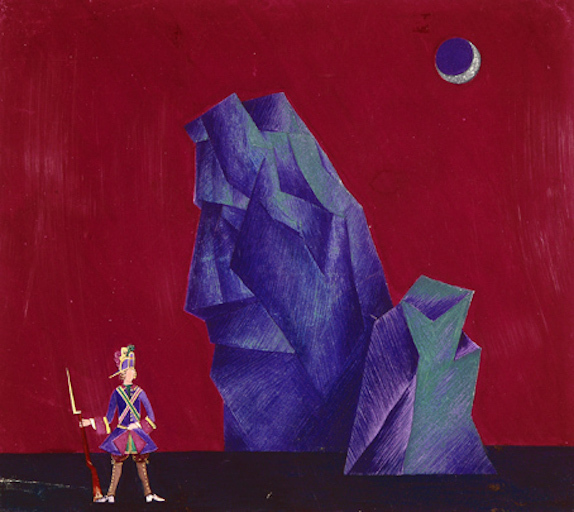 The exhibition shows numerous sketches for Master’s performances, books with autographs, scale-models which are the real rarities in the Theatre library collection.